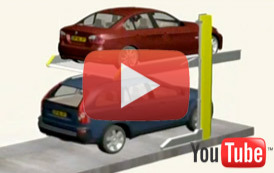 The new Parklift 450 system makes its launch on the market with some absolutely innovative advantages and aesthetics. 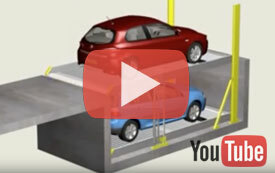 Turntable rotation constitutes the ideal solution in the event of narrow and limited parking space entries and exits. New Zealand’s most experienced car stacking company with over 75 car stacking installations complete (400 cars stacked) and 40 residential turntables and large truck turntables completed. 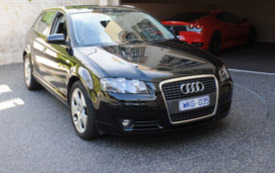 Our company has been STACKING CARS FOR OVER SIXTEEN YEARS with only the best European systems/equipment and approved now in NZ under the NZBC. Recent projects completed being a 48 car pit system in Christchurch and another 40 pit system in Great North Road and a similar project at the Avondale Race Course area. Our first lift and slide ( we call it a combilift) in Mt Eden completed last year. A NZ first also in Takapuna- three cars high massive vertical lift with 15 car spaces. we love stacking them up. Our Auckland engineers and technology guys completed some terrific projects.